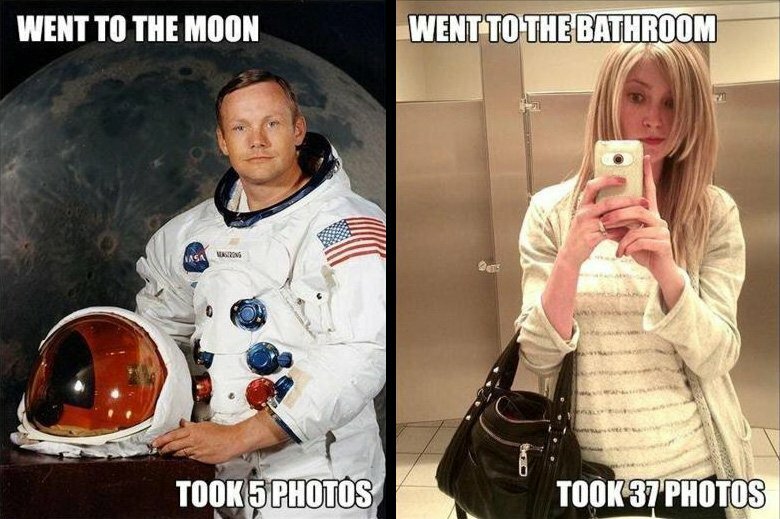 More people than ever before are taking photos. These days just about everyone has a smartphone, so therefore, has a camera. Camera sales may be down, especially compact cameras, but there are now more photographers on planet earth than ever before. Are you loving taking photos with your phone, but have become frustrated with the limitations you can see in your pictures? Especially compared to friends who are using DSLR or mirrorless cameras. Smartphones have become more about the camera than most other technology they possess, not in the least, the actual phone. Talent and skill matter just as much as the tools we use. Bruce Springsteen would not consider using a Blue Yeti microphone. I doubt David Hockney would be thrilled to receive a paint by numbers set for Christmas. You’re best to match your tools to your skill level. It is possible to take a clumsy shot with a high-end DSLR or an award-winning photograph with a smartphone. It depends on you. No matter the quality of the technology, AI is not creative, you are. Poor quality or the wrong tools will hinder your creativity. 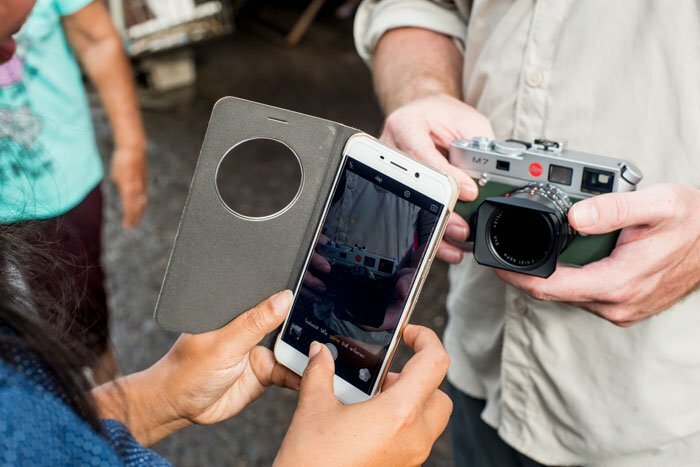 Two main reasons smartphone photography has become so popular is because it’s convenient and it’s easy. These are not marvelous motivations when you have a creative inclination. While using your phone to take photos is super convenient, it’s never going to provide you with real creative control. If all you’re interested in is continuing to take snapshots, carry on as you were. Developing style and a voice in your photography are going to require more than any phone can deliver at present. While I have owned a few phones with quite capable cameras, it’s not been until recently that I have started to use my phone camera frequently. I had a disdainful attitude about them and came to realize it would be best for me to adjust this. Most photos are taken with phone cameras these days. I am a photography teacher and I should be able to teach people how to make better photographs with whatever camera they choose to use. To do so, I had to up my smartphone photography game. Exploring what the camera on my phone can do is fun. I have been particularly drawn to using my phone to make pictures my DSLR cannot. 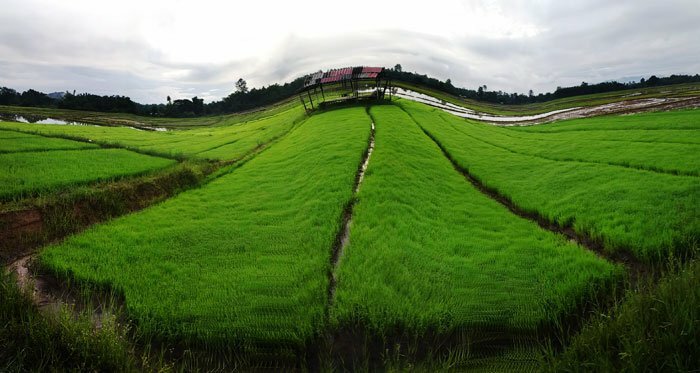 Using the panorama mode is unique to phones and a few cameras and can produce some interesting results. I think it’s because of the limited manual settings on a phone camera I am drawn to experiment with it in other ways. If you’re taking great photos with your phone you will be able to transfer this skill to using a camera. 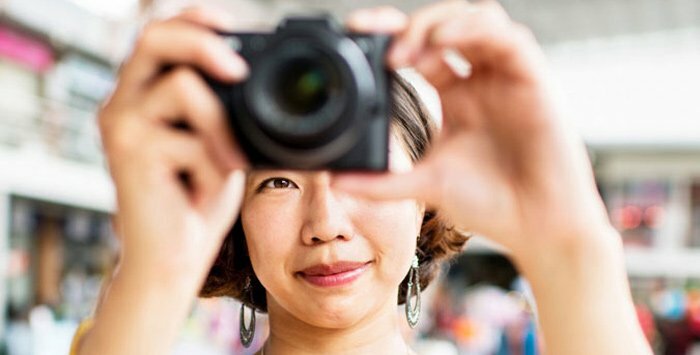 Learning to use a DSLR or mirrorless camera is easier than ever. Many photographers offer online courses and other resources, some of them free. Even as phone technology advances, there’s no changing physics. Computation by your phones OS can mimic effects. Shallow depth of field is currently the most popular camera affect phone manufacturers are trying to reproduce. But the tiny lens and sensor sizes will never produce this effect in the same way a real camera will. I use an Asus Zen phone. It’s a couple of years old, yet, newer than my DSLRs. It only has one lens and no Portrait mode, but I doubt I’d use it if it did. The results I’ve seen from phones with this feature show me there’s still a lot of work for development. I’m unimpressed by this gimmick mimic. That said, I am using my phone more than ever to take photos, but have not given up using my DSLR and mirrorless cameras. My phone camera is just another tool in my kit. Just as a mechanic doesn’t use an adjustable wrench for every task, why use only your phone for taking all your photos? 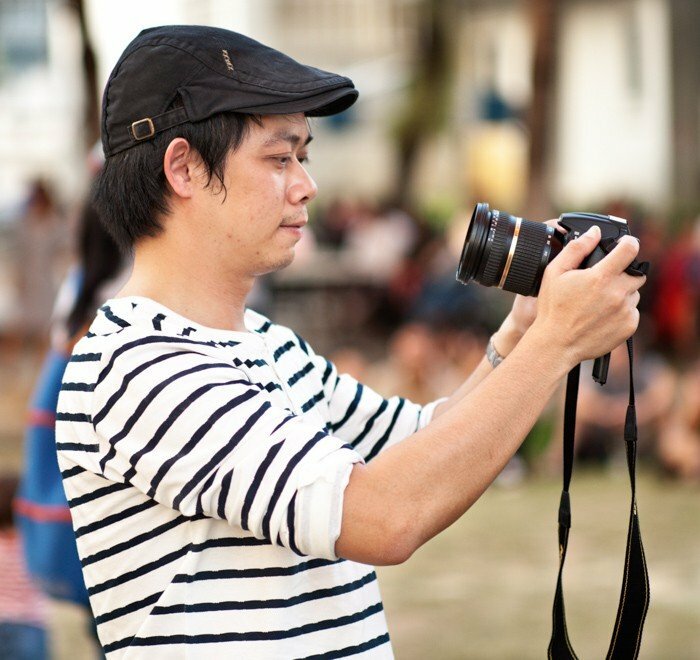 Learning to use a DSLR or other camera, and taking photos with it frequently you’ll build your skill and proficiency. Making it a habit will eventuate in your ability to take great high-quality photos quickly and effortlessly. Yesterday we went and had a set of new enlargements printed. Most of them were my wife Pansa’s photos. It’s been a long while since we’ve done this and her photography has improved immensely over the past few years. Seeing the results framed and on our walls is exciting. Certainly a lot different to viewing the same photos on a phone or computer monitor. The detail you can see in a print is far superior. Large sensors and high caliber optics in camera lenses make a genuine difference. Being able to make the most of these advantages by learning to use your camera well brings about great satisfaction. These days, learning to do this is easier than ever. Realizing you’re enjoying photography with your phone will hopefully lead to the purchase and good use of a camera. Once you have a camera in your hands developing your skill is essential. If you do not, frustration will eclipse your motivation for buying it in the first place. My free online course and newsletter is a great way to make a start or brush up on your photography skills. Having your pictures constructively critiqued. If you have recently purchased a camera, or are contemplating doing so, you must learn how to use it well. Most people who take our travel photography workshops have come to realize they are not getting the most from their camera. Most often this is because they’ve not studied it and do not use it enough. Continuous learning will lead to a greater desire to use your camera frequently. I am still learning new things about photography after 35 years of camera ownership. Initially, a course of structured study will benefit you the most. Once you have the essential skills, self-development will occur naturally. Especially if you are taking photos every day. I read an interview with photographer Steve McCurry a while back. He’s the guy that made this iconic photo. The interviewer asked him how he got started in photography. His reply encouraged me greatly because it’s how I frequently encourage people that they can improve their photography. 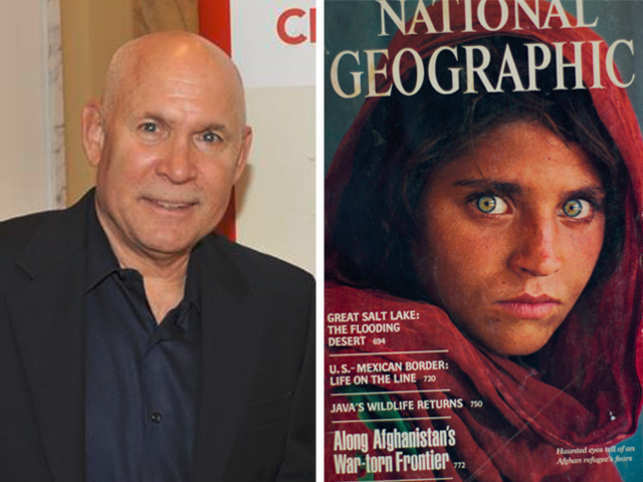 McCurry explained that he’d owned a camera for a few years, but had never bothered to learn how to use it. Once he started to learn he took up the 365-day photography challenge. To take at least one photo a day for a year. 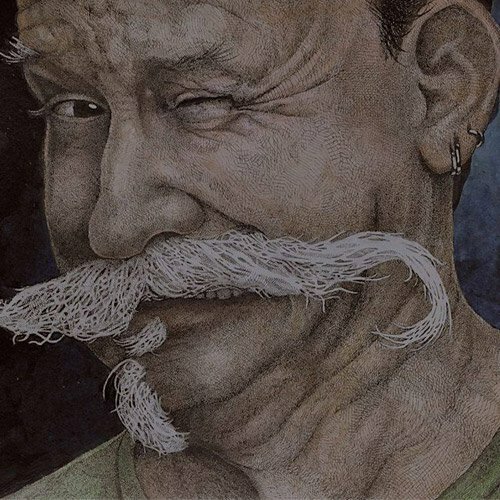 Doing this you will inevitably see a huge growth in your skill and creativity. With frequent study and camera use, you will master the controls and settings. Each time you pick up your camera you will learn new things and reinforce your newly acquired knowledge. This frequent exercise is essential to your development as a photographer. Using your camera only occasionally can be frustrating. With infrequent use, you will have to step backward and figure out what dials and buttons to use before you can progress. The longer the gap between times you use your camera, the more you are likely to forget what you have already learned. Making a habit of using your camera every day, even if for only ten minutes or so, you will build your capacity. Choosing the best settings for the photos you want to take will become intuitive. Your mind will be freer to concentrate on the creative aspects more than the technicalities of photography. Picture taking with a phone is easier because most of the function is automatic. Using your camera frequently you will become proficient in making far more creative images than you can with your phone. McCurry ended the interview saying he’s practiced daily camera use for the past forty or more years. It certainly shows in his pictures. Phone cameras will always have limitations when compared with real cameras. Even reasonable quality compact cameras take higher quality pictures than cameras in smartphones. As technology in phones continues to advance, we are seeing the cameras in them improve. I think one advantage phones currently have in this aspect is their innate ability for computational image making. Operating systems in phones are designed to pick up the slack of their physical limitations. Portrait mode enabling a look-a-like shallow depth of field is one such thing. The effect is caused by the phone’s software manipulating the image(s) the camera makes after you make an exposure. Size is the major factor. To keep phones to a reasonable size sensors and lenses must be very much smaller than they are on mirrorless or DSLR cameras. Even so, one phone company has been recently exposed using a photo made with DSLR to promote its camera. The photographer who made the photo with her DSLR recognized her picture used in a phone company advertisement. Publication of photographs happens most commonly on social media these days. Most images posted are made with phone cameras. Because it’s convenient. Standing out from the crowd is onerous. We all like it when our photos receive more love than a quick thumbs up or like. With the massive oversaturation of mediocre images, getting attention for your photos is less and less likely. Breaking the habit of issuing forth selfies in cool locations or pretty sunsets made with your phone will lead to more recognition. Do you want your friends to stop and take real notice of the photos you post? Once you start to post photos from a DSLR or mirrorless camera they will. Especially if they are well exposed, composed and of an interesting variety of subjects. I’m far more likely to post an encouraging comment and share a photo that’s been creatively produced and posted. Snapshots from phones, (or any camera,) are easy to ignore and scroll past. Building a habit of taking more interesting and technically adept photos will transform your social media presence. It will also endear a greater sense of your creative voice, not only to your friends but to yourself as well. Pros and cons exist for any kind of camera. It’s not my intention to tell you one is better than another. I want to encourage you to make the most of the tools you have. In some instances, your phone will be more practical to use and create impressive images. Other times your DSLR or mirrorless camera will be more appropriate and produce better results. Learn to use them both at the right times. Pulling out a large camera to make a portrait of a stranger can be intimidating. Using your phone will probably result in the person having a more relaxed expression. But, when your subjects are willing and relaxed, using a DSLR or mirrorless is a better option. 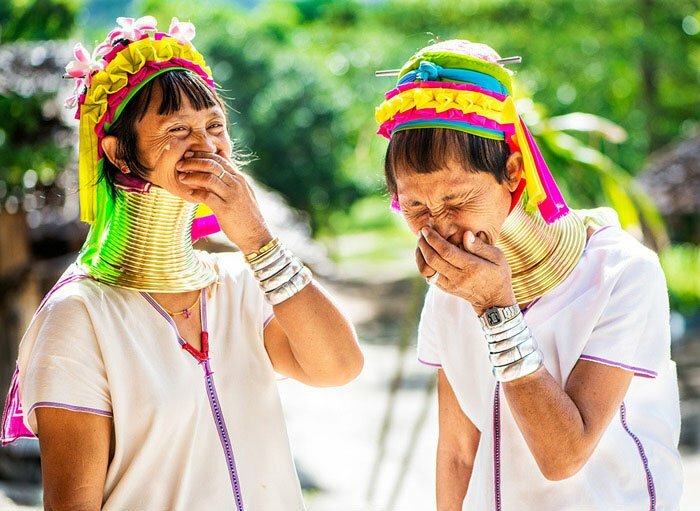 I would hate to have taken this photo of the two long-neck Kayan women, (and many others,) on my phone. Had it been made with my phone camera the ways I could use it would be limited. The amount of post processing I could do would also be severely limited. Use the camera you have with you. It’s the best one. But make sure to carry your real camera with you more often. It will produce more pleasing results with greater ease the more you use it. If you’ve enjoyed thi spost you will enjoy reading Focus on Improving Your Photography Skills and Essential Qualities Which Make Photographs Good.